All the conveniences of your own home. Even though Tulum is a beach town the apartment is extremely comfortable. 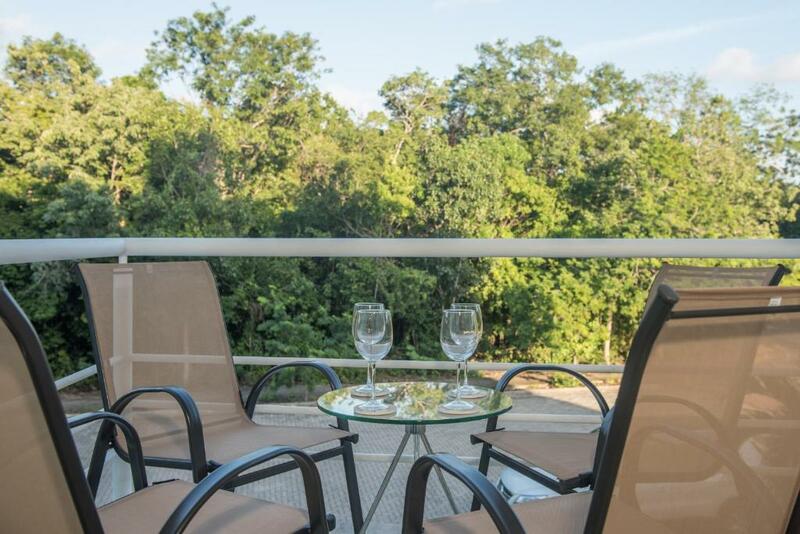 It is in a great location, it is five minutes drive from downtown and 5 minutes drive from the beach and the ruins. It is in a gated community and at night there is security, this made me feel safe at all times. The beds were really comfortable and everything was REMARKABLE clean. In conclusion, the place is beautiful, services is amazing, location is great, it is comfortable, safe, and very clean. Todo el apartamento esta equipado, y decorado precioso, es facil y accesible para movilizarse a los lugares turisticos, excelente opcion! La decoración del departamento era linda pero sobretodo era muy cómodo. 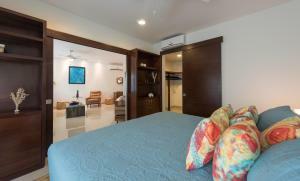 Lock in a great price for Tulum D 204 – rated 9.3 by recent guests! 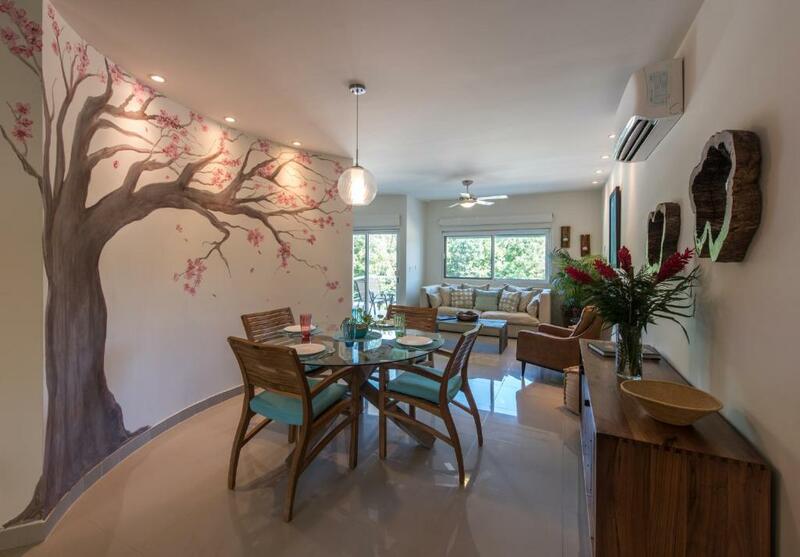 Set in Tulum, this air-conditioned apartment features a terrace. 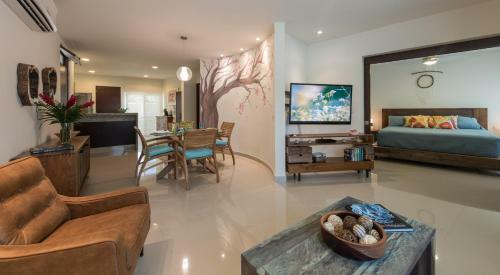 The apartment is 2 mi from Tulum Archaeological Site. The unit also has a fully equipped kitchen with fridge, stove, oven, dishwasher, microwave, toaster and blender. It also has a laundry room with washer/dryer, and ironing facilities with no extra cost. Bed linens, bath towels, beach towels, and drinking water are supplied. Units have an inside dining area and a terrace. Tulum Bus station is 0.7 mi from Tulum D 204, while Parque Nacional Tulum is 1.6 mi away. 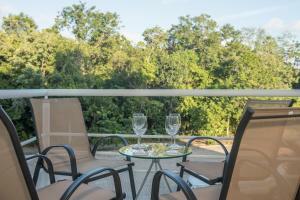 The nearest airport is Cozumel International Airport, 40 mi from Tulum D 204. When would you like to stay at Tulum D 204? Dear Guest. Welcome to my vacation rental in Tulum. We love this condo because it is very comfortable an it is very well located, at less than 2 miles from the wonderful Tulum beach, archeological site and Tulum´s downtown. We hope you have an amazing experience and feel at the condo as if you were at home. I love traveling, knowing places, people, food and in general getting to know as much as I can about the culture. I love Tulum because it is still a small town. Tulum´s archeological site overviews the Caribbean Sea, it is just amazing. 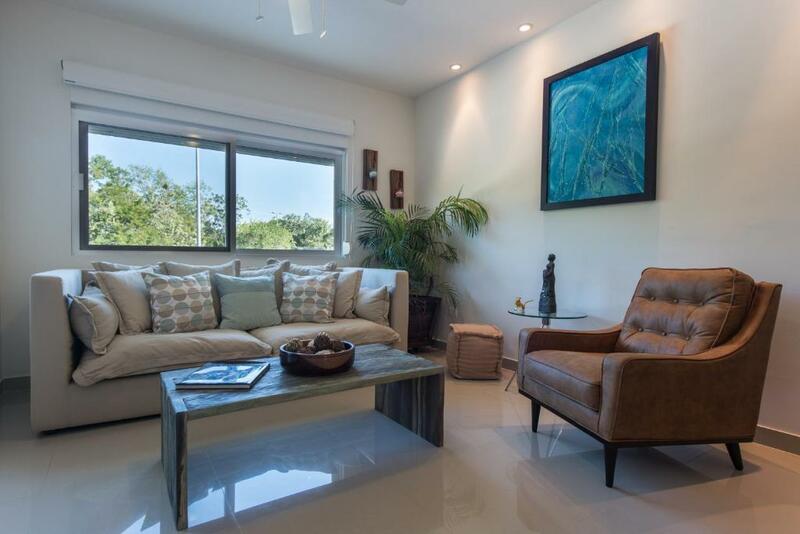 Aldea Zama is the best and most exclusive development in Tulum. 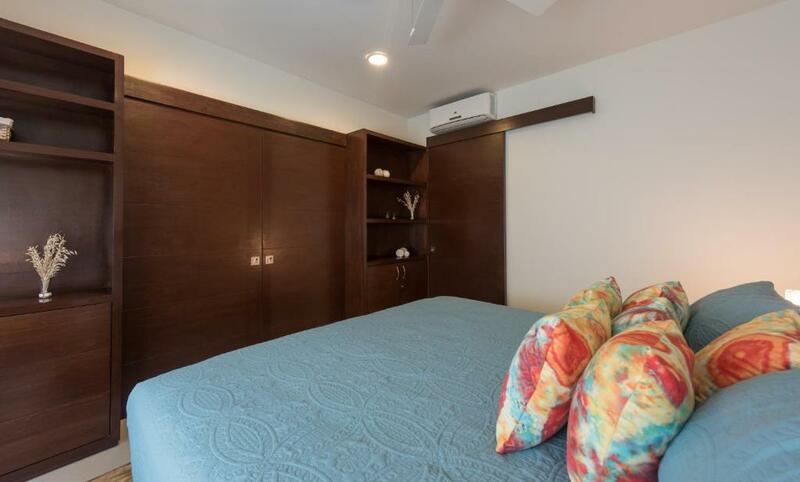 Located at less than 7 minutes by car from the beach an Tulum´s downtown. Here you can enjoy a quiet, familiar and safe ambient. 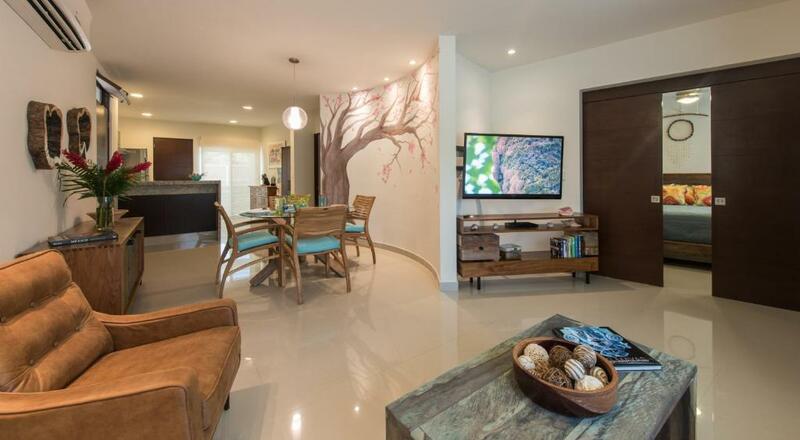 House Rules Tulum D 204 takes special requests – add in the next step! Renting a car is highly recommended. It is necessary to make the payment before arrival through Papypal. The accommodation will contact you after booking to give you the instructions. Please inform Tulum D 204 of your expected arrival time in advance. You can use the Special Requests box when booking, or contact the property directly using the contact details in your confirmation. Area under a lot of construction at present. The complex should do sign posts for various apts. Dishwasher not working. All minor points. The daily construction noise that started at 7:30am. I believe it said it fits 6 people, the beds on the second room are single beds and it can only fit a maximum of 4 people. I loved this place and the only bad thing is that I had to leave!! I wish I had stayed longer.